Simon & Schuster, 9781501165320, 304pp. "As wild, unpredictable, and fascinating as the man himself." "Few careers have been as tumultuous as that of Radric Delantic Davis. 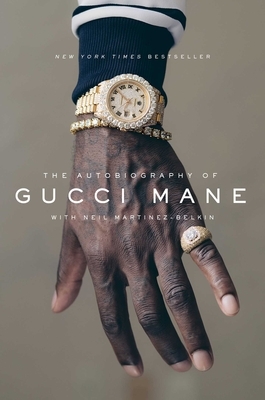 Through sheer grit, shrewd intelligence, and a stubborn unwillingness to be counted out, he transformed himself from a street hustler, drug dealer, and occasional strong-armed robber into a modern day Zone 6 prophet. Even while incarcerated, Gucci remained a cult hero to a generation that reached far beyond the Southern city where his influence first blossomed. His is a story of overcoming adversity, taming internal demons and rejecting the imposed labels of others."